After being injured, there is something you need to know: insurance companies are NOT going to willingly pay you what you rightfully deserve. They will do everything they can to escape with most of your money. They’ll lowball your settlement, or in some cases deny it completely. They may even turn the tables and point a finger at you for your own injuries. Your best chance for being compensated what you are truly owed comes from hiring a Provo personal injury attorney from Craig Swapp & Associates. The attorneys from our firm have years of practice behind them, and are never intimidated by the tired tactics of any insurance company. We know their tricks, and we won’t back down. Of course, not all personal injury cases will involve direct negotiations with an insurance company. Instead, you might find yourself up against the legal team of a corporation or government agency. The person or entity responsible for your injury may not even have insurance at all. Whatever the circumstances of your injury case, it’s important that you receive compensation for what you’ve endured—and our personal injury attorneys will help you do precisely that. The most common cause of personal injuries is car accidents. In Utah, there are over 50,000 accidents per year, many of which leave drivers and passengers injured to varying degrees. From car accidents to defective product injuries, slip-and-falls to construction accidents, personal injuries run the gamut. Injuries that result from these accidents can include broken bones, back injuries, post-traumatic stress disorder (PTSD), and many others. Physically, you may be able to recover from these injuries, but recovering financially may require the assistance of an experienced attorney from Craig Swapp & Associates. You might think that determining whether you had grounds for a personal injury lawsuit would be a fairly straightforward affair. However, it can actually be fairly difficult to determine who was at fault in some situations. For example, say your gas grill malfunctioned and left you with severe burns. Were you at fault for failing to use and maintain the grill properly, or was the manufacturer to blame for a faulty product? It may even be that the retailer damaged the grill and sold it to you anyway. Determining fault becomes a much easier process when a Provo injury lawyer can review the details of your case and pinpoint precisely where the fault lies. You will also need to prove the extent of your injuries. Doing so will generally require a full examination from a medical professional. Your physician will document your injuries in detail, in addition to prescribing you treatment and recommending recovery options. This treatment won’t be inexpensive, however. You’ll need to keep record of your medical expenses and provide them to your attorney, who will ensure that they are factored into your end settlement amount. Many personal injury cases are successfully resolved out of court without a lawsuit ever having to be filed. Even without a lawsuit, it is still within your best interests to work with a Provo injury attorney. Working with one of our attorneys will ensure that any settlement you receive will account for all of the injury-related expenses you may face—both current and future. However, sometimes it’s necessary to show the other side how serious you are by filing a lawsuit in order to convince them to negotiate in good faith. Your case can still be resolved out of court at this point, as many insurers and companies become eager to settle once a court date is set. Sometimes avoiding court means demonstrating that you’re willing to go to court. 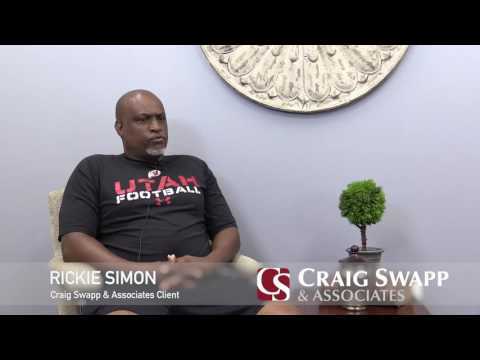 A Provo personal injury attorney from the law firm of Craig Swapp & Associates may be able to help you obtain financial compensation after being seriously injured. No matter how your personal injury occurred, our attorneys can get to the bottom of who is liable and what you deserve from it. Remember, all consultations with our lawyers in Provo are FREE. In addition, we don’t get paid until your case is closed and your settlement is WON. Representatives are standing by at all times to speak with you, either through phone, email, or chat. Don’t delay your journey to compensation – call an attorney right now at 1-800-404-9000 and get your claim started.